Sugimura Jun Museum of Art (Shiogama City), 30 minutes east of Sendai. 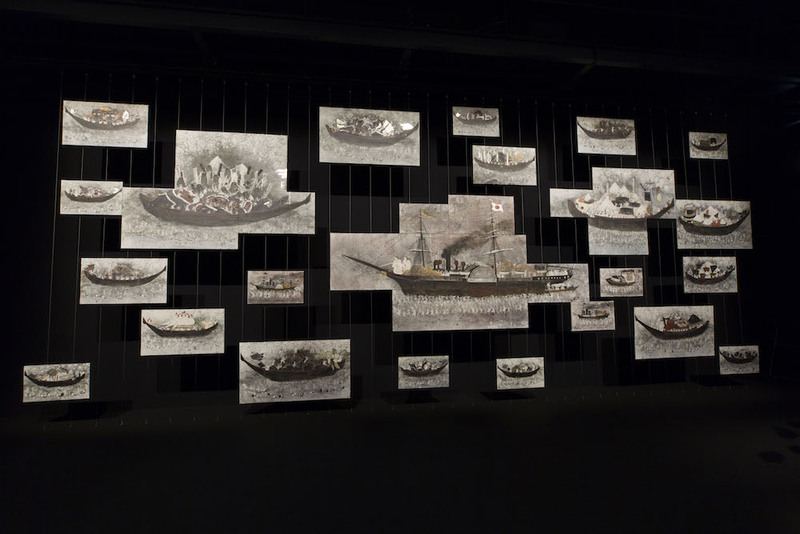 Our annual Young Artists Support Program called “Voyage” showcase works from talented Tohoku-based artists. 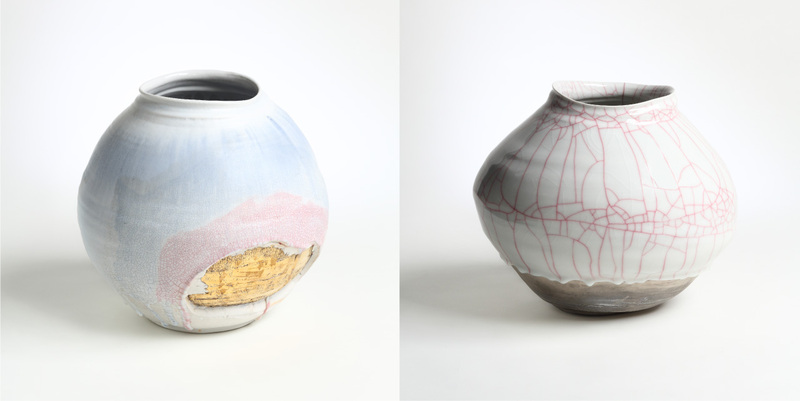 For this 4th edition we are delighted to introduce two artists – ceramic artist Koudai Ujiie and painter Nozomi Tanaka. 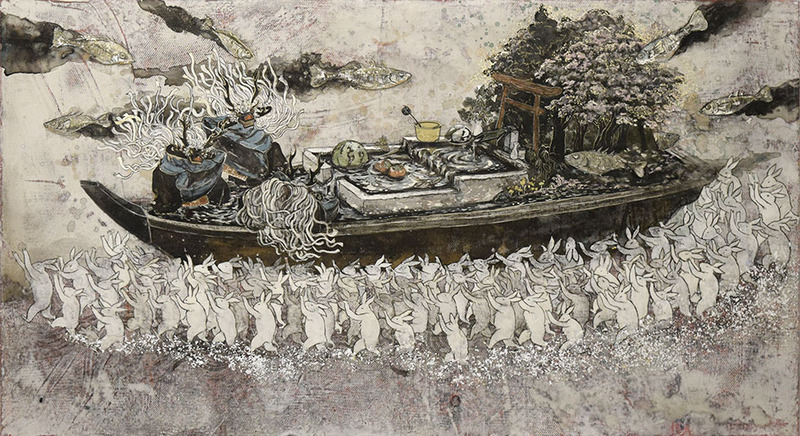 Ujiie‘s works follow the tradition of Japanese ceramic art, but are also characterized by originality of his technique. For example, he freely utilizes the effects of Japanese lacquer penetrating into cracks of graze. His works also have an attractive novel style, bringing out the possibility hidden in the material, such as by adding natural distortion and movement, and giving unique expression to each piece of work. Nozomi Tanaka produces works based on fieldwork and material research in various places, but she doesn’t convey the history and tradition of the land literally but rather informed by her own experience. Her works are allegorical and should be called modern folklore. While rooted in the universal themes of natural cycles and human existence, her works question the relationship between places and people. Through the works of both artists we can trace the layers of the region deep into the unknown to better appreciate the history and richness of the land where we live. Both artists drew from the region’s hidden history and social context and breathed new life into them through their works. We would be pleased if this provides an opportunity to rediscover and reevalue what the region has to offer, and to become more interested in its origins and future. Ceramic artist. He was born in 1990 in Sendai City, Miyagi and resides in Iwanuma City, Miyagi. 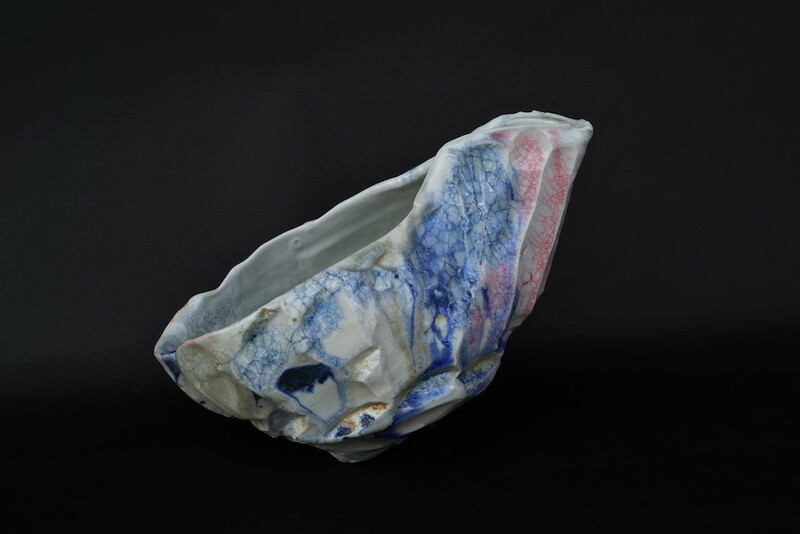 Since he graduated from Tohoku University of Art and Design, Graduate School of Arts and Engineering, Master’s Program in Art and Handcrafts Department in 2015, he has been creating works in Shibata Town, Miyagi. Painter. She was born in 1989 in Sendai City, Miyagi and resides in Sendai City. She graduated from Tohoku University of Art and Design, Graduate School of Arts and Engineering with a Ph.D. in Art Engineering in 2017.